You’ll freak lots of people out when you have a gaping empty eye socket with an eye dangling from just a thin piece of optic nerve! 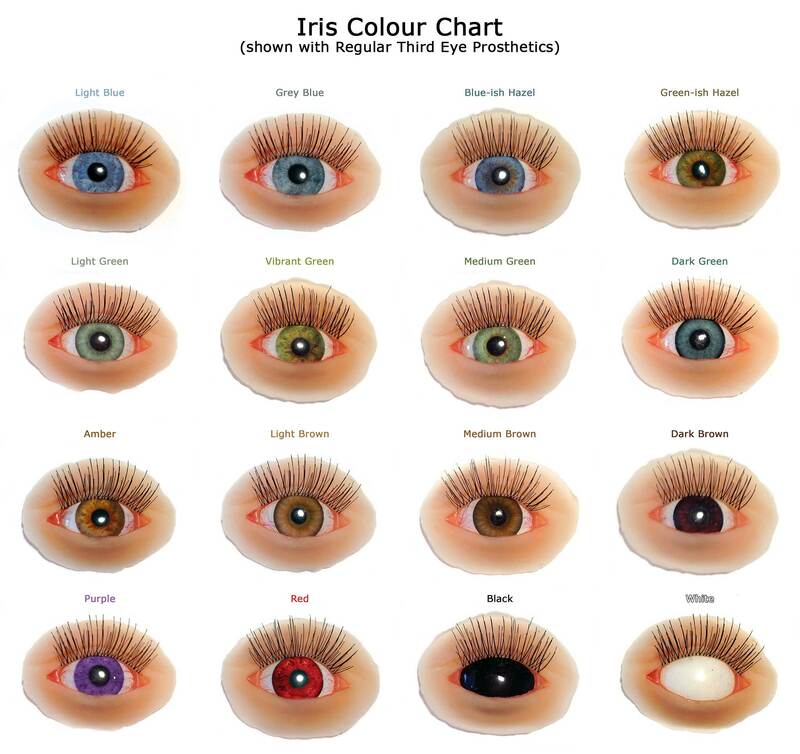 Available in various eye colours and skin tones. 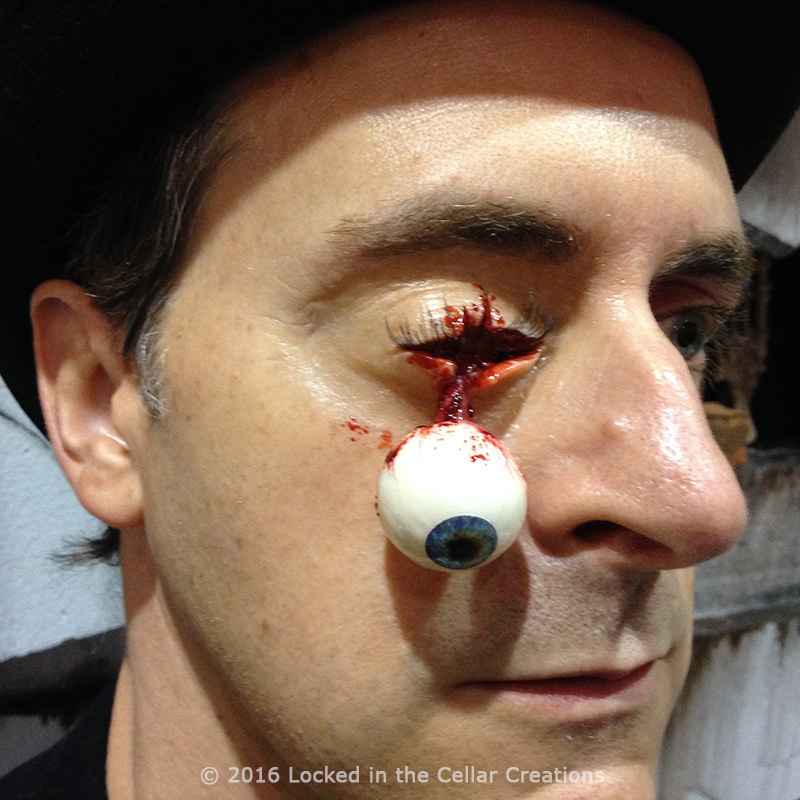 This Hanging Eye Prosthetic is great as an addition to a zombie costume, or as a stand alone trauma make-up. Also available without eyeball. 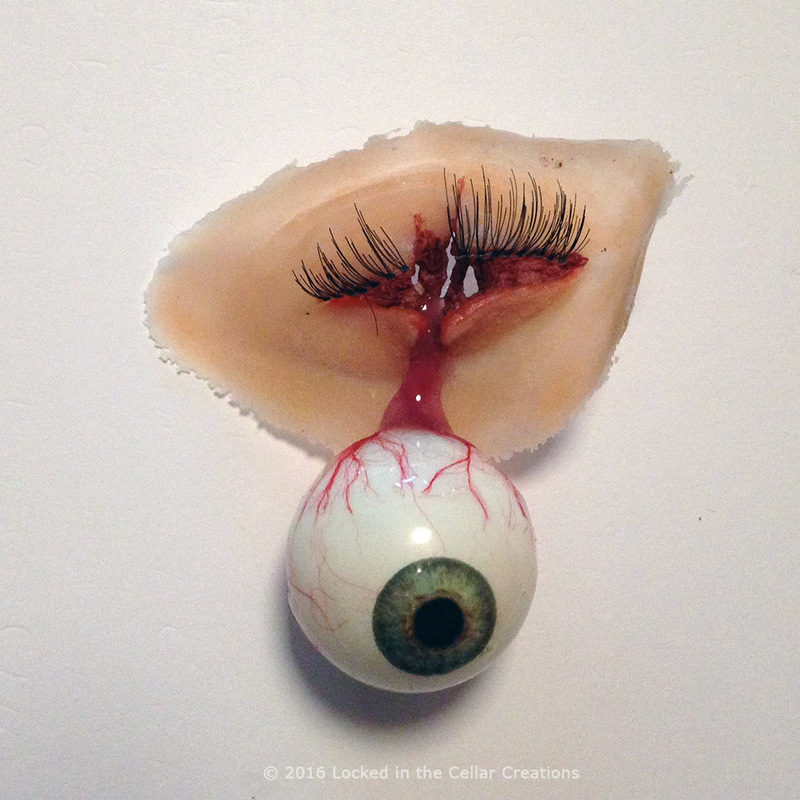 One Hanging Eye Prosthetic (latex) with eyeball (right eye only). We designed this prosthetic to fit the average adult eye socket, and the inner edge curves to fit on the bridge of your nose. 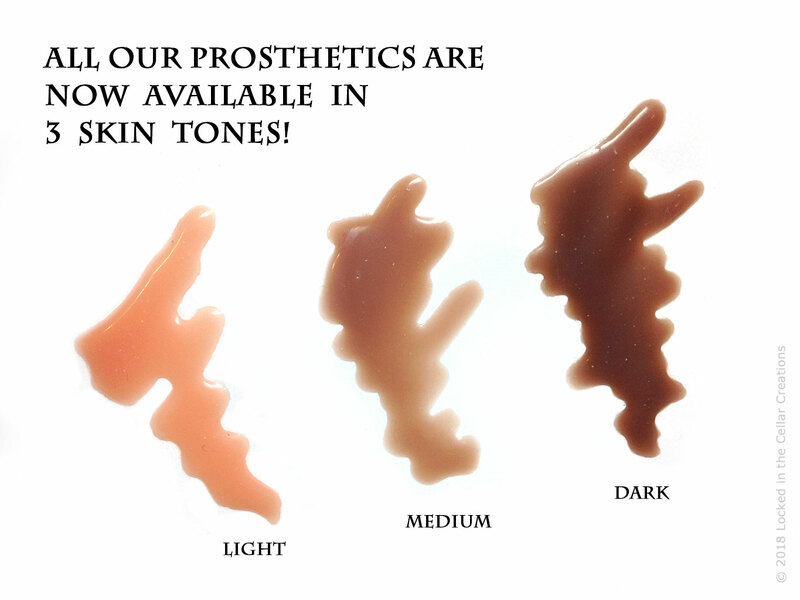 We use soft, flexible latex that we pre-tint in 3 skin tones. The edges are so thin that they will go mostly translucent, so you’ll have a seamless makeup without any effort. 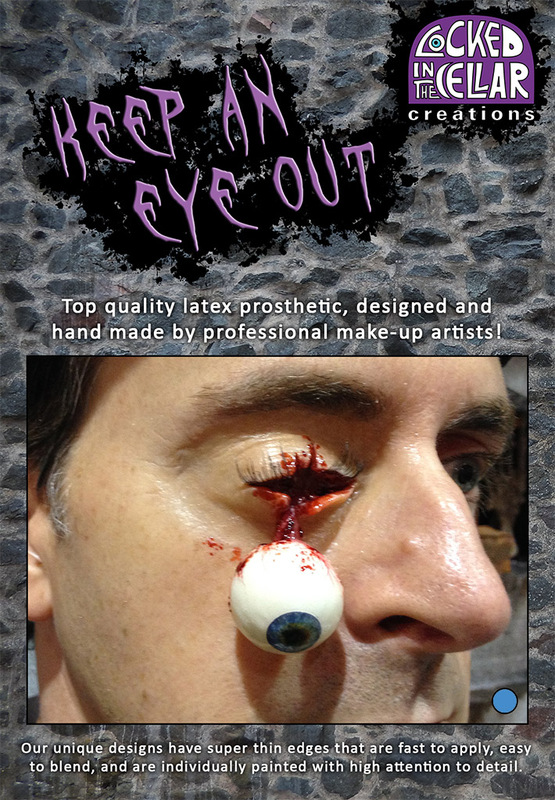 – Injury painted with high attention to detail, including realistic eye lashes and light weight eyeball with detailed capillaries, glossy finish and gross looking optic nerve. This prosthetic is MADE TO ORDER! Please allow 1-2 weeks processing time before shipping. Awesome quality and pumped to use it for this Halloween!